TUESDAY, 20 SEPTEMBER – The Student Welfare Committee (JAKMAS) Residential College, Kolej E took the initiative to introduce the college in general to the new intake of 2016/2017 academic session by organising the “Seerat Salam” programme, yesterday. According to the President of JAKMAS, Nurul Syazwani Mohamad Ghaazali, this programme was conducted to introduce the Residential College, Kolej E and the management as well as the administrators of the college closer to the new residents of the college, and to share the University and University College Act (AUKU) practiced at the university. “Indirectly, this programme can strengthen the relationship between the management such as JAKMAS, Council of Block Leaders (MKKB), and Council of Club Heads (MKKK) and the new intake,” she said. Held at Anjung Perdana, Kolej E, an introduction of the college was given by Nurul and said that such programme would facilitate the new students well in starting their life as a university student. She also briefed them on the facilities available besides advising them on the list of individuals to contact should the need arise. 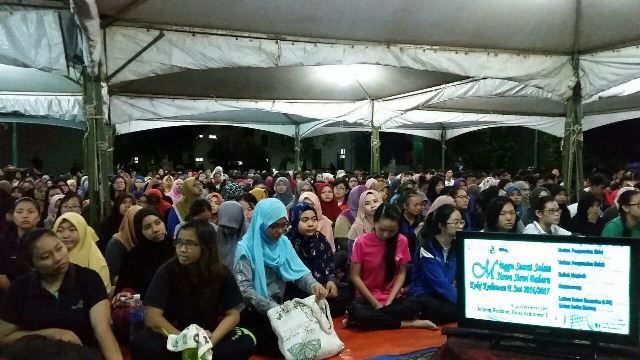 During the “Seerat Salam” programme, an introduction of Clubs involving 12 clubs registered with Kolej E was done besides Maghrib Programme, Megarewang, Group Training, and ended with ‘A Night of Thousand Stars’ on 25 September.